What a fascinating story! I, too, have had the thrill of discovering distant relatives, exchanging genealogical information with them, and exploring our shared heritage. I did not know of my family's Chassidic background until I learned about our common ancestor, a rebbe, and that set me on a path of searching to find out more about his beliefs and practices ... and so much more. Rabbi Slatkin: I understood that you also undertook it upon yourself to learn Yiddish. Can you tell us a little more about your reasoning to do this and how you went about it? Thanks. Great story! Hatzlocho in your chasidic journey! ASJ: About the Yiddish, I would guess, anyone who is seriously drawn to Chassidus naturally would want to learn it, since today it is de facto the chasidic "lingua franca". A Yid: How were you able to learn Yiddish? How did you start? An amazing tale of hashgochah protis! "All rivers flow to the sea..."
Like any other foreign language - grammar, vocabulary, practice etc. I didn't know English originally either, though I started to learn it when I was still a teenager, while Yiddish I started when I was a grown up. Still, there was a siyato deshmayo that I met a friend, who is also a baal tshuvo from Russia, who happened to be a big expert in Yiddish (he is also very involved in Chassidus). So I organized lessons for starters, with him (some other interested people joined too), and we learned together a big deal. Afterwards I used a textbook called "Yiddish for Russian speakers" written by Shimon Sandler from Moscow, and also I use the dictionary of Moyshe Shapiro (Russian-Yiddish). It is one one the best in its kind. I guess, someone who knows both Russian and Loshn Koydesh has some advantage in learning Yiddish, because it has a significant percent of hebrew and slavic components. There should be textbooks for learning Yiddish in English too. But note, that academic Yiddish is not always the real one used in different dialects, and there is often no way to figure it out from the books, so that's where the real expert teacher is necessary. This story was so beautiful. This is something i have been struggling to figure out. I am beginning the same path in college that you began so many years ago and it is such an inspiration to know that beautiful things like this happen to us on our quest for truth. With that said can you give me any advice on finding my own family history? I have narrowed it down to the towns my great great grandparents immigrated from to America. ASJ, I had a tutorial in Yiddish in Oxford and then took a course my senior year in college. I really like languages and was already learning Modern Hebrew in college. I picked up even more when I was learning in Eretz Yisroel at the Rebbe's home. As the Rebbe says his Torahs in Yiddish, it paid for me to understand what he was saying. Learning a language opens up an entire world, enabling me to have access to so many more people than I would have otherwise. There is also something about Yiddish. The Rebbe told someone that it is the lashon that tzadikim spoke. When he speaks in Yiddish there is a special something that is not necessarily there when he speaks in Hebrew. Long Beach Chasid. I would love to talk to you more about your search and see if I could give you any clues. you can email me at my website if you want. And yes, it is the "lingua franca" of Chassidim but as Koidenov is a Chassidus from Lithuania and White Russsia, the Yiddish that I speak is a Litvishe Yiddish, not the Galicianer or Hungarian yiddish that people refer to as Chassidish. That's why I think it is incorrect when people refer to Galicianer/Polisher pronunciation as "chasidish". These differences are merely regional, and were shared by chasidim and misnagdim alike wherever they were, wheither they spoke in Litvisher, Ukrainisher or Poylisher Yiddish. What a wonderful story and I agree with everything that you have said. it is so important to know where we come from, what our minhagim were. It enables many baale teshuva, myself included, to connect to HKBH in a deep and lasting way. Generic is generic, and I am also one that decided to find my own path, and I feel very rewarded by it. I encourage all my students to do the same. To study at the yeshiva that feels right, fits right. Not to go to one place or another to put a notch in my gartle. I have some classical music CD's with pieces performed by orchestras conducted by Felix Slatkin and by his son Leonard. Are they possibly related to you? Bob- I am familiar with Leonard Slatkin and I get the question all the time. I never got around to contacting him so I can't verify any connection. My grandfather was also from Minsk. Interesting. My mother's family is from Minsk...last name Raskin. I enjoyed reading this posting, and was intrigued to see that R. Slatkin initially traced Koidenov by a map in a Hebrew book, found in Oxford, entitled Hachassidus HaLitais. The same map is there, showing that Minsk had not only Koidenover and Slonimer chassidim, but also Kobriner. There is a significant section (pages 160-163) on Koidanov. The author of the book, born in 1900,was also the author of the entry on Koidanov in the 1st edition of the Encyclopedia Judaica. The Pair of Tefillin story was really outstanding, I wish I could find out that much history about my family especially from a pair of Tefillin. 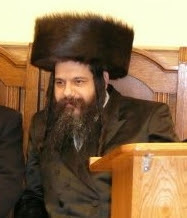 My great grandfather came Kiev around 1934 ( Isidor Goldenberg), there is a Shlomo Goldenberg who is in Kiev he is the chief rabbi I wrote to him to see if there is a possible relation but I never got and answer. I think I will write him again. i know the rabbi from monsey that helped you, he's a very nice guy! Well I am actually looking for more information about Koidenov. Since my great grandfather was the Koidenover Rov (before the holocost) and adopted by the Koidenover Rebbe. He and his Kehila where burned alive in his Shul by the nazis yimach shemom. Hello, I have been researching some shetl history of my families and have very recently become convinced that my mother's family: Zlotkin came from Koidanov, immigrating to the U.S. around 1900-1902. (I have a siddur that my great grandfather brought with him). The reason I am convinced is that two other surnames that were in our family are also in that shetl. I can't even find the place on the map. (I know it no longer has that name). I hope to visit the area in the next year or two with relatives from Israel. All of my ancestors on both sides come from Belarus and I have the names of almost all the towns. Today, I think I stumbled onto Koidanov. Do you have more information on Koidanov, etc.? Beautiful story! I am very interested in learning more about the Jewish community in Koidanov in the 1930s and early 1940s. I am very interested in talking to anyone who might have known the Galperin and Gildenberg (Goldenberg, Gilgenberg) families or who maybe have gone to school with their children. It would mean a lot to me. I really enjoyed reading this. I'm writing a short story on my impressions of the Koidenover Rebbe during his visit to New York last year and found your article doing some research. I would love to talk for some advice. I discovered chassidus myself in the last few years, and have begun to learn Meor Einayim. I would be interested in hearing a little about the Slonimer sefer that you mentioned. A few people have recommended it.